Hilton Resorts has opened a seaplane lounge at Malé International Airport in the Maldives, equal to any airport facility worldwide. It is probably the first all new flying boat passenger lounge to open since the 1950s. Malé’s airport is unique as it covers a whole island, access to the main island only available by a short ferry ride. Arriving passengers are taken by private vehicle for the five-minute drive from the terminal building to the lounge. British Airways and easyJet are both adding Glasgow International flights to London after the pull-out of its Heathrow service by bmi at the start of the summer season. British Airways is adding a further rotation from London City Airport, its fifth, and also bringing in further capacity by swopping its normal Embraer 170 (78 seats) operation for the larger EMB 190 (98 seats). 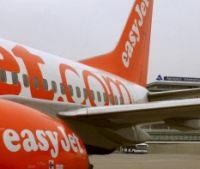 easyJet is upping its Gatwick services to five flights daily for the summer and four for the winter programme. It also flies to both Luton and Stansted four times daily. 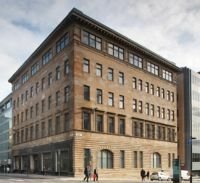 InterContinental Hotels Group (IHG) has opened its third boutique Hotel Indigo in the UK, the 95-room Hotel Indigo Glasgow. The central Glasgow property joins the two existing hotels in Britain, both in London, at Paddington and Tower Hill. These will be followed shortly with a Liverpool opening in June this year followed by Edinburgh, Birmingham and Newcastle sites in 2012. Hotel Indigo was launched in the United States in 2004 making it IHG’s youngest brand. There are 38 Hotel Indigo properties around the world and 62 in the development pipeline, which will open in the next two to three years. Willie Walsh and the tens of thousands of pilots who have trained at Oxford Airport over the last 50 years will just about recognize the place, but Kidlington, as it is known locally, is expanding. However somehow it still retains the aura of a small grass airfield, albeit now with a 1592m runway that can take full public transport aircraft up to the size of an Embraer 190 or Avro RJ. The professional pilot training school continues with a 450-student throughput, although most of the flying is done these days in the (much cheaper) USA. To the public who travel on scheduled airlines, and even to some of those who use its extensive charter services ScotAirways may not mean anything. However on Tuesday (26 April) it will celebrate 25 years of operations. Many of its contemporaries are long gone. ScotAirways started life in 1986 as Suckling Airways, owned by Merlyn and the late Roy Suckling (Roy passed away in 2008), at Ipswich’s grass airfield, moving to Cambridge Airport two years later. The airline was rebranded as ScotAirways in 1999 when Brian Souter of Stagecoach plc became Chairman and majority shareholder. The airline introduced a Dundee to London City service and added the fast Dornier 328 turboprop, still the mainstay of its fleet. Brian Souter (and his sister Ann Gloag) sold their interest back to the Sucklings in 2006, the airline then forming a partnership with Air France/CityJet. The rail service linking London to Stansted Airport has initiated an on-board wi-fi service on its brand new air conditioned Bombardier trains. Marketed as the Stansted Express, but know locally as the “Stansted Slow” as it stops at two stations on its way to London’s Liverpool Street, the operation is now much improved. 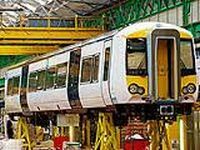 The first Derby-built Bombardier 379 carriages were introduced by Transport Minster Philip Hammond earlier this month. Passengers can work on-line whilst waiting for the train to start at the station. Capable of 100mph, and with much quicker acceleration, some 120 units are being introduced on the National Express East Anglia services from London to Stansted and Cambridge. A full refreshment trolley service is provided on the 50-minute journey. 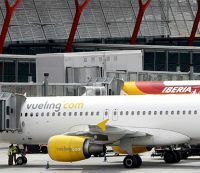 Iberia’s routes from Madrid to Alicante, Fuerteventura, Lanzarote and Malaga are being operated by Vueling this summer, at least until the end of October when the airline season changes. 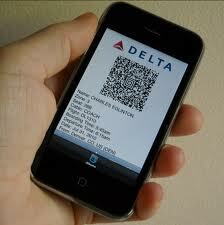 The arrangement includes code shares with a number of other carriers including Avianca, British Airways and LAN. Iberia says that with its own expansion, particularly to South America, it has a shortage of aircrew. Welcome to the March Cruise Review which for the first time takes a look at an embarkation port rather than a ship. For the future we would very much welcome reviews of both ships and ports by readers, but please, before making the effort and sending in potential articles, do make a request to info@aerbt.co.uk. Producing a thousand words of interesting copy is not easy and it could be that your well thought out critique is already in the pipeline from another writer. As the great Eric Morecambe used to say “not a lot of people know that”. In this context it is the fact that Portsmouth is the second busiest passenger port in the UK with a 2.3m throughput last year. Dover leads with 13m. And just like Dover most are joining ferries, but not just across the Channel in this case, but to Northern Spain too. 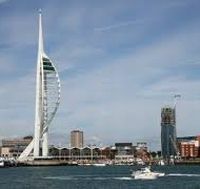 Portsmouth is of course world famous as the home of the Royal Navy since it was founded by Henry VIII in the 16th century. It was from here that the Mary Rose started on its last tragic voyage in 1545, and it was to Portsmouth that the wreck was returned in 1982, today one of the great preservation sites. Nearby sits HMS Victory, Nelson’s flagship, and Warrior, the most advanced warship of its day, both equally interesting. In 1974, with the knowledge that the Royal Navy would grow smaller over the years, Portsmouth welcomed its first civilian car ferry operation and with it a ‘temporary’ building that was to last over the years. Just a few days ago a brand new purpose-built 21st century passenger terminal welcomed its first cruise ship, Athena all the way from Australia. Throughout the rest of the year 30+ more will follow. 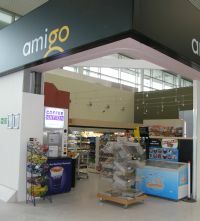 Part of a £16.5m investment, the two-storey building features electronic check-in facilities, a money exchange and a shop selling those last minute items that are always needed on holiday. There is a bar and café and an observation balcony overlooking the port. There is an adequate drop off area and long term parking is close by. The building has been designed to be light and spacious, and to considerably reduce its impact on the environment. Revolutionary pumps that take heat from the sea form part of an air-cooling system that uses 'wind catchers' on the roof to heat and ventilate the building. After going through emigration and security passengers are bussed to their ship, making access particularly easy. For vessels calling at Portsmouth just for the day coaches can park on the quayside by the ship, making tours very easy. A free bus service is offered to the city's main shopping area.The visiting ship market is something the port is actively cultivating, an attractive extra for the City of Portsmouth and more profitable than turnaround voyages. Portsmouth and the surrounding area have a great deal to offer including Arundel Castle, Goodwood, the Historic Dockyard, and the latest attraction The Spinnaker Tower. There are restaurants galore within easy walking distance and a fine selection of shops. Charles Dickens, Rudyard Kipling and Isambard Kingdom Brunel were all born in Portsmouth. Portsmouth is fortunate with an excellent under two-hour train service to and from London every 30 minutes. The station is a 25-minute walk or five minutes by taxi. Southampton Airport, with its very good domestic network, is 20 miles to the north, Gatwick 65 miles minimum, depending on the route you take, and Heathrow much the same, although quicker. Or it will be from July onwards when the Hindhead Tunnel (Devil’s Punch Bowl) opens on the A3 giving a dual carriageway from the M25 to the dock gates. If you live in west Sussex the 1.5-mile tunnel is being specially opened to the public on Sunday 15 May. With wonderful countryside at each end it should make for a fine day out. Something of a party is planned. A year after the start of construction Martin Putman, Port Manager, was delighted to see passengers using the new terminal for the first time. He said: "We have always had a reputation as being the best connected cruise and ferry port in Britain, offering a trouble-free start to a journey to the continent. Now we have the best cruise and ferry terminal in the country too. We know the investment in top class facilities will not only improve the experience of passengers, but we fully expect it to attract new customers too." 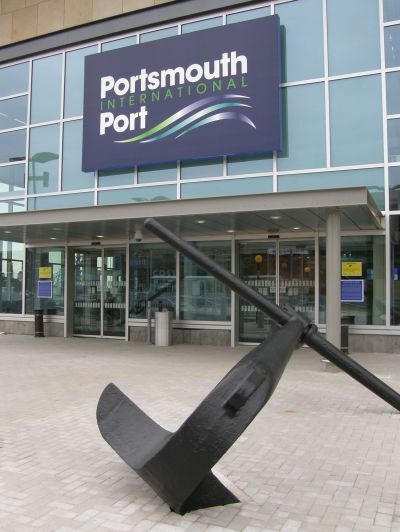 The new terminal has already been the key to attracting more cruise ships to Portsmouth than ever before. All Leisure Group, that is Discovery, Swan Hellenic and Hebridean, are basing three ships at Portsmouth for its 2011 season, with several other cruise companies making the historic port a destination for the first time this year. In technical terms Portsmouth can take two ships up to about 200 metres long at any one time. In the cruise market this means about 30,000 tons, Fred Olsen’s 1,300 passenger Boudicca, a regular visitor this coming summer. In travel trade terms it is a boutique port rather than mass market operation which Southampton typifies. Unlike the soccer teams of the two cities the ports compliment each other. Adonia, the latest addition to the P&O Cruises fleet, is being honoured with Dame Shirley Bassey as its Godmother. The Cardiff-born singer will name the ship in a glittering ceremony in Southampton on Saturday 21 May 2011. During a career that has included 135m record sales, Dame Shirley has had many incredible highlights, including being the only singer to record three James Bond movie theme songs and most recently releasing The Performance – an album which she describes simply as “The performance of my life”. Azamara Club Cruises has launched a series of engaging videos called “You’ll Love Where We Take You.” The series, presented by Azamara Club Cruises’ Manager of Deployment and Destinations Claudius Docekal, provides potential guests (and travel agents too) a comprehensive overview of itineraries aboard Azamara Journey or Azamara Quest. CroisiEurope, the river cruise experts are to offer a series of short break voyages on the Upper Rhine Valley this summer focussing on “Wine and Gastronomy”. Five-course gourmet dinners will be prepared by a selection of top French, German and Swiss Michelin-starred chefs during the two-day cruises, the first of which takes place in June. Crystal Cruises, whose policy to date has always been to sail ships sometimes less than full, has announced a “Standby” programme allowing last-minute travellers to sail the ultra-luxury line at up to 75% off brochure fares on five May to June sailings in Alaska, the Baltic and North Cape. Greatly reduced tiered pricing offers fares as low as £2,264 per person for a 12-night cruise. Standby fares will be confirmed on a “first requested, first confirmed” basis no earlier than 45 days prior to departure. Fred Olsen’s Balmoral, will host a very special ‘Around the UK’ cruise in August (2011). A dedicated package for keen gardeners is offered and on board will be some of the best-known celebrity gardeners in the UK, giving talks and gardening tips, and answering guests’ questions. They are Alan Titchmarsh, broadcaster, novelist, journalist and gardener; Adam Pasco, Editor of Gardeners’ World Magazine; Pippa Greenwood and Matthew Biggs, both regular contributors to the popular magazine and panellists on BBC Radio 4’s Gardeners’ Question Time. Grand Princess, the ship that really changed the whole cruise industry’s ideas for the future when it entered service in May 1998 is, as AERBT is published, undergoing a major 24-day makeover at the Grand Bahama Shipyard in Freeport (Bahamas) ahead of her return to Southampton for a programme of summer cruises. Two obvious features stand out. Removed is the iconic Skywalker Nightclub high over the stern. It is considered heavy and causes drag in these environmentally conscious times, although for its sister ships a lighter version will be retained. It is replaced by the One5 Lounge on (not surprisingly) deck 15. New is a completely reworked Piazza atrium, the multi-faceted social hub of the ship combining always-changing quick bites and light meals, beverages, entertainment, shopping and guest services. The Piazza will feature the International Café for pastries, grilled panini sandwiches, salads, fresh-baked cookies and a variety of coffee drinks. Passengers will also enjoy a new Vines wine bar offering a selection of more than 30 wines by the glass, plus a selection of tapas, sushi, artisan meats, and a wine shop where passengers can purchase their favourite bottle. Created in partnership with Mighty Leaf Tea Company is the new Leaves Tea Lounge and Library – A fusion of tea lounge and library. A trained tea sommelier will assist passengers in blending a personalized tea creation, which they can enjoy in the midst of the library and a good book. Alfredo’s Pizzeria features an open kitchen where passengers can watch chefs create the pizzas they’ll enjoy with a glass of wine or other beverage. L’Austral is getting ready for sea and will join La Compagnie du Ponant's existing fleet of four mega-yachts on Wednesday (27 April) in a voyage from Marseilles to Lisbon. This ultra luxury vessel, with just 132 cabins is the result of the expertise of the Italian Fincantieri shipyard and French sophistication. Guests will encounter unique itineraries, calls inaccessible to large ships, chic and elegant yacht-like ambiance, refined and personalised service, as well as gastronomic cuisine. Saga is to introduce its largest ever ship, Saga Sapphire at 37,000 tons, at the end of March next year. Currently sailing as the Bleu de France, and once called Europa, it will undergo a multi-million pound makeover during the winter, and embarks on her maiden voyage from Southampton on 26 March 2012. Saga Pearl II, which only joined the Saga fleet last year, is being pensioned off. This is probably not the right term as Saga specialises in over 50 holidays, Pearl joining “Spirit of Adventure”, another brand within the Saga ownership, and for those over 21! Considered an up market cruise company Saga is certainly going for service with the new ship, limited to just over 700 passengers looked after by 400 crew. Silversea is to re-name Prince Albert II, its expedition ship, Silver Explorer. The change will occur later this month whilst the ship is in dry dock undergoing routine maintenance prior to commencing a summer programme of Northern Europe and Arctic voyages. Windstar Cruises is making something big out of the Greek islands in 2011. For the first time in six years, the 312-guest Wind Surf will be sailing the Greek Isles in addition to the 148-guest Wind Star and Wind Spirit. Ports visited include Athens, Mykonos, Santorini, Rhodes, Bodrum, Kusadasi and Istanbul. Represented on the African continent for 75 years Air France is expanding its services. Last week Freetown, the capital of Sierra Leone, was linked directly to Paris for the first time with a new twice weekly service via Conakry, the capital of Guinea. Conakry, which is also the largest city in the country and sits on the Atlantic coast, is also the hub for another new two times a week operation, this time to Monrovia, the capital of Liberia. With the new flights Air France now offers a daily service to Conakry, four times weekly non-stop and three times weekly via Nouakchott, by far the biggest city of Mauritania. Following associated company luxury hotel chain operator von Essen calling in an administrator last week both London Heliport and Blackbushe PremiAir have made it quite clear that it is “business as usual” for both aviation companies. Speaking at the pre-EBACE business aviation conference at Oxford Airport (see below) David McRobert, who heads up both the heliport and executive aviation business, said that the company was expanding with a further Learjet 45 arriving shortly for what was the former Gold Air base at Biggin Hill. June will see the re-opening of the Eccleston Square Hotel in London’s trendy Pimlico district, less then 10 minutes’ walk from Victoria Station and Buckingham Palace. The 5-star 39-room boutique property is actually in the square, which has tennis courts in the gated gardens. Originally a Georgian townhouse the property has been transformed with a £6.5m makeover. The guestrooms are split across five categories and have either garden or city views, some with private courtyards or balconies. All rooms feature advanced state-of-the-art interiors, including 46-inch 3D LED TVs with HD Movie and 3D channels, 3D Blu Ray DVD players with 3D glasses, and finger-tip control panels. The pads control every possible function in the room, from the lighting and curtains to wake-up and bedtime settings. 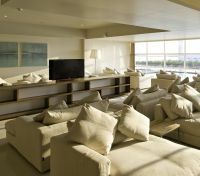 Each room will also have an iPad2 – the newest Apple creation – which guests can use for anything from shopping guides to spa bookings. Adjustable massage beds from Swedish firm Hästens act as the focus of each room, complete with massage programmes that synchronize with the Hästens Mind Spa TV. 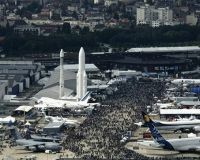 Not to be outdone by their friendly competitors, the Farnborough Air Show, the Paris organizers are also instigating a free bus service from the nearest railway station, Le Bourget RER, to the exhibition site. The show itself runs from 20 June until 26 June. There is also a courtesy bus from each terminal at Charles de Gaulle Airport and an information desk. The organizers say they have invested €10m since 2008 and visitors will see clear evidence of this with a much improved car entrance and a valet parking service. The area between the two sets of parallel exhibition halls has taken a leaf out of the near-by Walt Disney theme park and is now called Main Street. Airline IT specialist SITA is to build a community “cloud” dedicated to the air transport industry (ATI) that will improve efficiencies and reduce costs. SITA's investment in shared cloud infrastructure is already well underway and the ATI Cloud applications and services will go live from June. These include infrastructure, platform, desktop and software-as-a-service offerings, which will enable true end-to-end business and IT solutions on demand for the unique needs of air transport. "Cloud", the latest jargon word to be used by the world of computing providers, is essentially the use of a pool of servers, located on the internet, rather than a specific company server on site. The "cloud" can then grow or shrink depending on the particular current requirements and is argued to be more environmentally friendly due to its improved capacity to be adjusted to meet demand. Japanese “value carrier” Star Flyer has placed an order with Airbus for two A320s. The airline should not be confused with Star Cruises, a large Asian-based cruise operator, nor Star Flyer, a 360ft long 170-passenger sailing ship, part of the Star Clipper fleet. A new arrival at the Dresden base of EADS division EFW is the first Airbus A320 for conversion to dedicated freighter operations. Destined for delivery late next year to the Anglo Swedish cargo operator West Atlantic, the CFM 56 engined aircraft was originally built for Air France in 1991 and has accumulated 35,000hrs. West Atlantic is the largest regional freight carrier in Europe with a fleet of over 50 aircraft. We never like to mention airlines/airports or even train operators when they are acting really daft. AERBT will tell you the story but not actually name a name. After all, the perpetrator's ‘human rights’ might be involved. In any event the 11th consecutive EBACE (European Business Aviation Convention & Exhibition) takes place at Geneva Airport 17-19 May. It’s a big event. The invitations are rolling in for press conferences, lunches and evening entertainment. And for a visit to a major aerospace factory within Europe, about two hours flight time in a quick executive jet from the show. Departure is 09:00 and there will be plenty of time to see the latest manufacturing processes and hear about a new product. The invite is but a single flight to the factory. The press is expected to make their own way back. It looks like the executive jet is going on somewhere else. And all scheduled services from the city in question to Geneva were discontinued last week! AERBT will not be represented. Latvian national airline airBaltic is improving its Business Class package and also introducing a new fare model for the front end passengers. Just like Economy travellers those booking early will from this week onwards be offered substantial discounts which will disappear nearer the flight date. Always an innovative airline airBaltic flies two-class layout and offers a pre-flight meal ordering service, probably unique for a short haul carrier in Europe. The airBaltic Business Class includes priority check-in, extra luggage allowance, fast track, executive lounge access, more seating space, in-flight entertainment, fine dining and a variety of drinks. Sir Peter Rigby, who bought Coventry Airport last April, has announced a strategic scheme that he says could create up to 10,000 jobs by 2015. 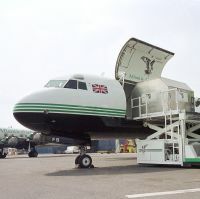 Presently the 65 acre site is the home of West Atlantic, the cargo airline, Air Atlantique, the vintage aircraft operator and its associated “living air museum” Airbase, various flight training and executive aviation operations and also a number of flying related business. There have been no passenger services since November 2008 when ThomsonFly withdrew. 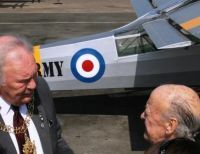 Sir Peter notes that he wishes to re-establish scheduled flights. Free wi-fi is proving an outstanding success with low cost carrier Norwegian. On some flights more than half the passengers have gone online – simultaneously. The wireless system hit a record high on an Oslo – Alicante service 14 April when 87 passengers were logged on at 30,000ft. The airline claims to be Europe’s third largest budget carrier with 13m passengers carried last year. Some routes have proven to be more wi-fi savvy than others. The services between Oslo and Geneva stand out with between 40%-50% of all passengers keyboarding away. Other popular wi-fi sectors include Oslo – London, Oslo – Dubai, Oslo – Alicante, Stockholm – London and Las Palmas – Stockholm. Norwegian launched its high-speed broadband service in February, and says it is the only airline offering its customers an online experience on European routes. By the end of the year, 21 aircraft will be equipped with this technology. In what is clearly a bid to get away from its "the most annoying airline in the world" reputation Ryanair is to experiment with seat reservations on some routes. It is rumoured that easyJet has also looked at this possibility. In the Ryanair case it is probably just a ruse to raise money, the airline stating time and time again that its fares would not increase due to fuel price rises, seen by every other airline operator as an impossible promise. Ryanair is the only air carrier to actually charge for an electronic check-in, extras sometimes doubling the price of an advertised flight. 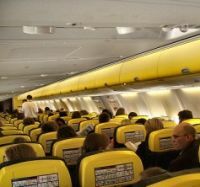 From mid-May onwards Ryanair will offer pre-booking of seats on its routes out of Dublin to Gatwick and Malaga, the front two rows and a further two rows by the emergency exit, these having more legroom. 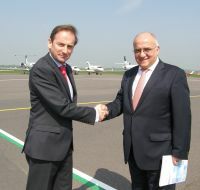 Stobart Group, perhaps best known for its high profile road haulage operation, is to raise £115m in a share placing as part of a restructuring of the business that will allow it to develop both Carlisle and Southend airports, with the priority on the Essex operation which it purchased in late 2008. At the beginning of the airline summer season Aer Arann introduced a twice daily service to Galway and Waterford giving both west of Ireland cities non-stop access to Essex and East London. Due to open very shortly is the new Southend Airport railway station and with it services to London Liverpool Street. This is said to be imminent with up to eight trains per hour offering a typical journey time of 53 minutes. 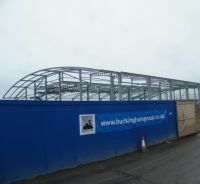 Construction of a new terminal adjoining the station is well under way. Work has started on a runway extension that will allow aircraft such as the Boeing 757 much more flexibility in terms of range. 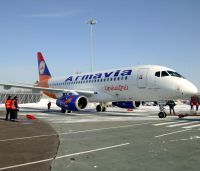 Russia's state-owned aircraft manufacturer Sukhoi last week delivered its first Superjet regional airliner to Armenian airline Armavia. The plane, named after the first cosmonaut Yuri Gagarin, will be used on flights to Moscow, Saint-Petersburg, Sochi and the Ukraine. Sukhoi's Superjet 100, with a capacity of 68-103 passengers, was developed in partnership with Boeing and Italy's Finmeccanica. It competes head on with the established Embraer e-series and Bombardier’s CRJ. It is the first all-new civil jetliner to be produced by Russia since the collapse of the Soviet Union. And just like its larger contemporaries at Airbus and Boeing is late with initial deliveries. Currently on order are 170 aircraft and up to one dozen are expected to reach customer airlines this year. 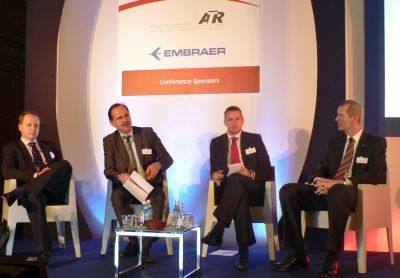 Some 160 delegates from the European Regions Airline Association (ERA) gathered in sunny Valetta (Malta) earlier this month to debate some serious industry issues. High on the agenda was EU261 “the most inept piece of legislation ever known,” and the threat of criminalisation of accidents – an unwelcome new concern for airline directors and post holders who already take their duty of care seriously. On a positive note, in the past 12 months in which the industry has suffered Icelandic ash cloud, snow closures at airports and air traffic control strikes, Director General Mike Ambrose disclosed its 70-airline members recorded an average 2.5% scheduled passenger growth in 2010, and the highest passenger load factor on record of 66.2%. “These figures demonstrate the remarkable resilience and flexibility of intra-European airlines to respond swiftly and strategically to changing markets,” he said. The overall theme at the meeting was one of ‘cautious optimism’ for the future, for while demand may be gradually recovering, yield remains low and European air transport recovery lags behind the rest of the world. Airline bosses heard that despite the sterling efforts of ERA’s legal partner Gates and Partners, the chances of getting compensation for the hefty costs incurred as a result of the volcanic ash cloud are ‘not particularly high.’ Another mounting industry concern is the hike in oil price. “We’ve just had to re-forecast a further £300,000 in March to cover rising fuel costs – to £900,000, up from £600,000 in February,” said Aurigny CEO Malcolm Hart. The total annual bill is estimated at £3.6m for an operator which flies ATRs and Trislander aircraft, and just when Aurigny was enjoying an especially strong first quarter. As a result it has just announced a £2 fuel surcharge on ticket prices. “Our travellers in Guernsey understand and appreciate the transparency. Most of them rely on oil to heat their homes,” Hart said. Jerry Froggett, Commercial Manager at ScotAirways, agrees. With its six strong Dornier 328s it has access to, in one (very pleasant) venue, airlines who may need extra wet-lease capacity for the summer or other urgent ad hoc sub charter requirements. For others, such as Switzerland's SkyWork Airlines it was an opportunity to talk with the OEMs as it starts to ponder jet types. And for airports, such as new members Oxford and Cambridge Airports, the chance to offer a new proposition from the overcrowded big hub airports where slots are near now impossible. Networking is the name of the game. Aircraft broker members Toulouse-based Prisma Aviation and Skyworld Aviation were busy discussing an agreement to team up on selling some BAE Avro RJ jets – subsequently ratified – while Denmark and Ireland-based leasing organisation Nordic Aviation Capital brought a team of six and hired a dedicated business room at the Westin Dragonara venue to meet with attending airlines. Delegates listened to a variety of presentations including the value of social media, airport security and future travel. There was a session on in-flight health. 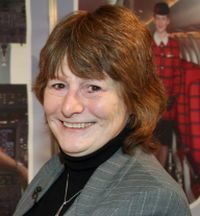 Passengers risk being hypoxic in-flight and baggage is actually becoming a health issue, according to MedAire Chairman Joan Sullivan Garrett, with passengers carrying baggage that is too heavy for them. Airlines also had an opportunity to debate with European Commission Director Marjeta Jager who invited them to “come and see the struggles we have in designing legislation.” Responding to accusations about air transport being discriminated against in regard to EU261/passenger compensation and the call for reform she insisted that the EC is trying to address the shortcomings in passenger rights legislation in all modes of transport. “Observing brand loyalty does not exist anymore, social media is growing in importance as a key marketing tool to communicate with your customers”, said Ian Murray of Discovertheworld.com. Yet only 28 ERA members have Facebook, four have a You Tube channel and 13 use Twitter. Used in a fully integrated way they are all, ideal platforms to engage with an audience, delegates heard. London City Airport (LCY) used Twitter when it encountered severe snow disruption earlier in the year. “We tweeted 100 updates and got complimentary tweets back,” said Bernard Lavelle, Sales Director. He noted the airport recently undertook a survey via Linkedin Aviation forums to gauge what travellers want. “Wi-fi, free and everywhere” was the most popular request. So were power sockets, which LCY has in abundance. He commented that the airport has just moved to a new food and beverage supplier which is providing beers from local East End breweries, picking up on Murray’s other advice to “expand your brand locally”. Engaging with the community was another point of discussion. London City hosts an annual public day every summer – on a Saturday when the airport is closed for traffic. Munich Airport transforms its terminal into a Christmas market, beach volleyball party and even a polo tournament for the public. Last year Munich connected 115,501 transfer passengers – a 99% success rate, according to Andreas von Puttkamer, Senior VP Aviation, 37% of traffic at both Terminals 1 and 2. The airport, which consistently wins awards, is a strong advocate of social media, boasting 5,507 fans on Facebook and 1,910 on Twitter. It used it to promote new initiatives such as a new VIP wing covering over 1,200sq m opening in June that all airline passengers, in whatever class of travel, can enjoy. Airport security, however, remains the industry’s biggest bête noire. Matthew Finn, Managing Director of Switzerland’s Augmentiq, talking about this thorny subject highlighted that "Events in the past decade have taught us that security threats have changed, acts of unlawful interference have evolved ... and we can simply no longer afford to concentrate our limited resources on detecting metals and prohibited items."